I love that sense of excitement too. Almost nothing else is like the latest book fresh from the printers. The publisher gets just the same enjoyment. Fresh books anyone? 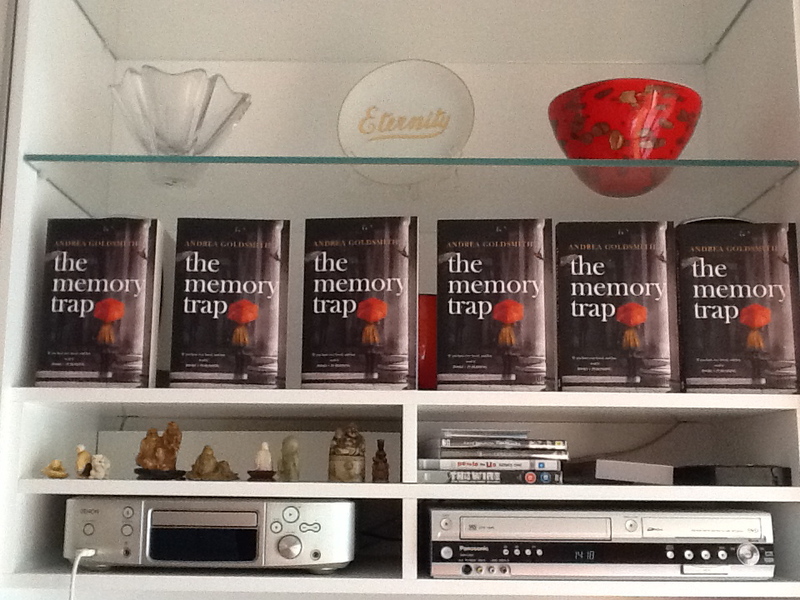 Yes, huge congratulations on the arrival of The Memory Trap! And you’re right. It’s nothing like childbirth, or pregnancy. Gestation is far too long, and it would be illegal to adjust a fetus the way one does a developing story. But it’s definitely labour. And the outcome is something beautiful that you can’t wait to hold and that you get to show off. And what a very nice DELIVERY man you had. Congratulations Andrea, and what a great post about the arrival of your new book. I agree, what a nice delivery man. I’m looking forward to reading it and it’s wonderful to read of your excitement, even after seven books. This is the thrill of artistic creation.